University of the West of Scotland is one of the most popular Universities located in a central point of London but also with four different branches in Scotland. The University is characterised by its dedication to new students but also providing the right teaching and professional skills and development to the existing students. . Some of the sectors that the University is expertise on, are spanning engineering, technology, business, education, healthcare, sport, science, the media and social sciences. 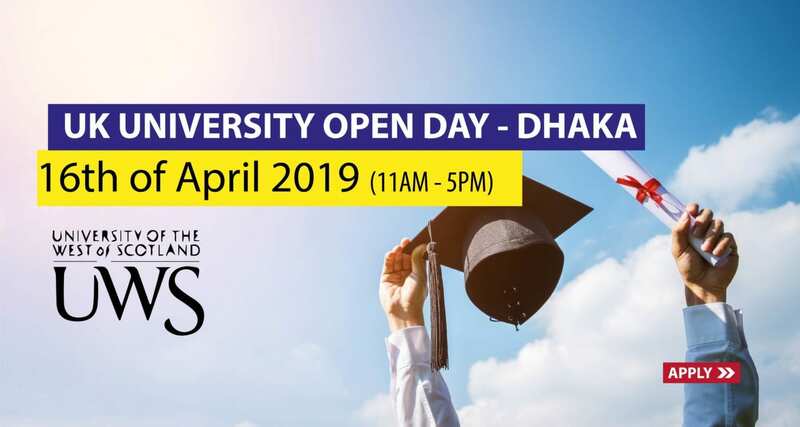 AHZ Associates organises an Open Day in Dhaka where all students can attend the event and talk to the University Representatives regarding all University queries that they have. The open day activities are really helpful as students can get hands- on experience and can also apply to the University. Make sure you bring your academic documents with you to receive an on-spot assessment!